we know that chasing mice around your property is annoying and also hard if you have a busy lifestyle, but thats not the only reason why they should be taken seriously, they are very known to spread diseases as they move around by rubbing their bodies that attaches all the dirt and grease to it and when they sneak into the kitchens to consume some food which can cause very bad consequences especially in restaurants. Even if mice got their basic needs which are food and shelter, they are known with their annoying habits of damaging wooden objects, furnitures just because they like to practice their gnawing skills. The first thing of all, we need to differentiate between a mouse and a rat, although they both belong to the rodent category, they are completely different, they behave differently and they also require different treatment. We are not going to go into all the details of the differences between mice and rats since we discussed this subject in a previous post posted by rat control manchester. First of we will discover the consequences of having a mouse in the house and not getting rid of it. One of the main differences between mice and rats is that mice are naturally much smaller in size and have a very flexible skeleton unlike rats which gives them the ability to easily pass through really narrow holes and tunnels, or even under doors, unlike rats which depend mainly on their very sharp teeth to gnaw in to any material that comes their way in order to pass through it. 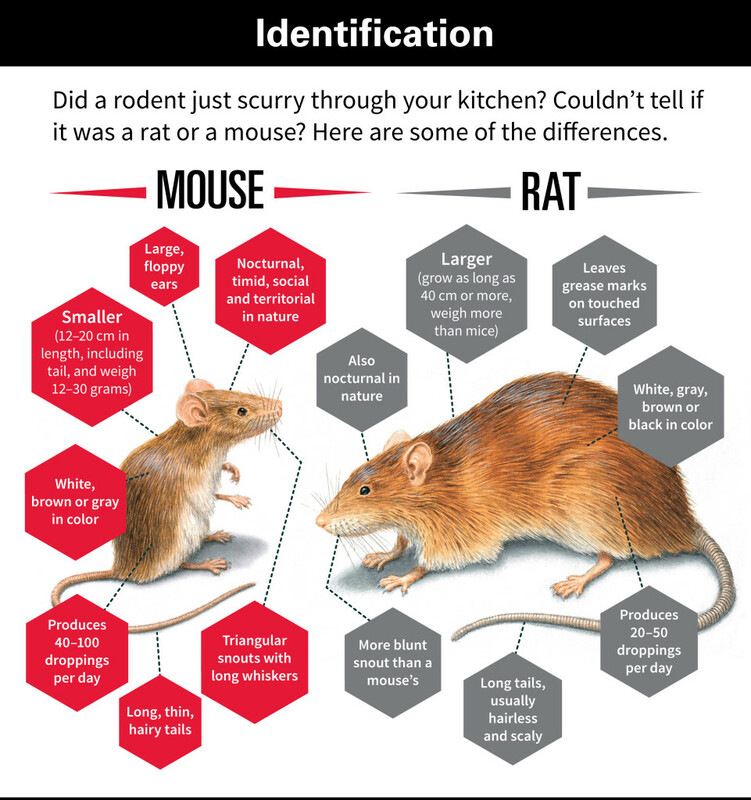 Now, we assume you have enough information to be able to spot a mouse once you see it, but how do you know if your property contains mice? Fortunately enough, mice are little messy and much less smarter than rats which are way more advanced in their thinking to protect themselves from exposing themselves to humans, for example: mice leave droppings (faeces) almost anywhere they want, while rats are more strategic, they leave droppings only in places they consider safe and away from the sight of humans in order to not reveal their existence, why means that they are aware of the consequences of not doing so. How to tell if you have mice in your home. Rub marks: or also known as Grease marks, these are dark stains on the surfaces of a wall or floor, these are one of the strongest evidence that you have a “rodent”, and the reason being is because rats also leave rub marks, which means you need to lookout for other extra signs to know what kind of rodent you do have. 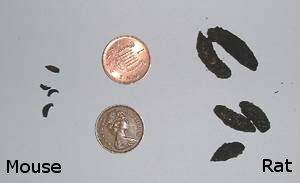 Droppings or Faeces: as we mentioned earlier, mice leaves droppings everywhere they walk, and they drop a lot of them on the floor, usually around 60-70 droppings per mouse per night. Spotting a mouse: usually mice don’t walk around during the day, so if you saw one walking (or even dead), this is a strong sign that there are many more mice in the area and that you have serious mice problem that needs professional help. Noises: Mice usually hide during the day, and move around during the night, so they are very active at night searching for food and also scratching walls to pass through them. Footprints: now you will only be able to see footprints of mice on dusty surfaces, which is usually outdoors, so if you find any type of footprints, it is a very good chance that it is a mouse or even a rodent, so you need to distort the footprints, and come back later the next day, and if you find footprints again, then you can rest assure that you have active mice in the area. Unpleasant urine smell: the urine of mice usually has a strong and disgusting smells, so if you find a strong smell, then you are very close to the hiding spot of the mice. If you have been searching online for mice control manchester, then rest assure you have arrived in the perfect place because we have a certified team that can help you eliminate the mouse problem completely from your property in few visits, go the homepage and give us a call on the number that appears on the screen.